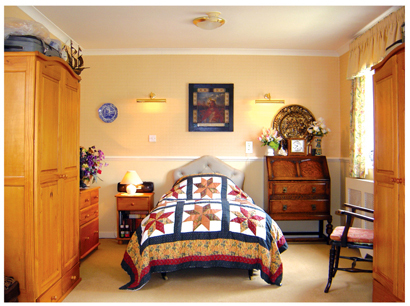 Innisfree is a residential care home in Weston-Super-Mare which provides support for the elderly, including those who suffer from the effects of dementia. We are ideally located close to the seafront in Weston super mare and on the major bus routes through the town. We are also a short walk from the town centre and within easy reach of Clarence Park. 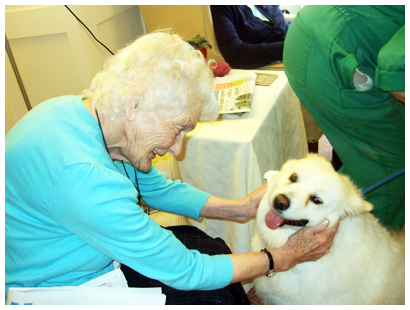 Innisfree has been established as a residential care home for the elderly for over 25 years and provides personal and dementia care for 28 residents. We pride ourselves on the loving and homely atmosphere at Innisfree, constantly striving to deliver a real home from home environment. We also offer respite and Specialist Care in: Alzheimer’s • Hearing Impairment • Parkinson’s Disease • Speech Impairment • Stroke • Visual Impairment. To create surroundings which help our residents orient themselves to reduce the effect of confusion – examples of this is the use of colour, of familiar items and of signage and pictures with all of these intended to make our residents feel comfortable in their environment. To get to know our residents and their lives, helping us to focus on and support them as a person rather than their condition. 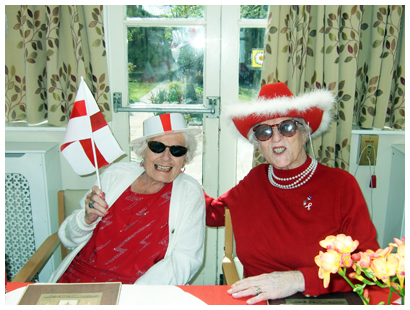 To encourage our residents to maintain as much independence as they are able. To build relationships with each and every one of our residents so we can provide care based on understanding, on dignity and their personal choice and preferences for how they chooses to spend their time. We recognise that family and friends and accessing the community are vital parts of this quality of life and as such encourage as much involvement as people are able to give. This is a short summary of what we offer to provide as great a quality a life as we are able to our residents at Innisfree but if you would like to know more, please feel free to get in touch. 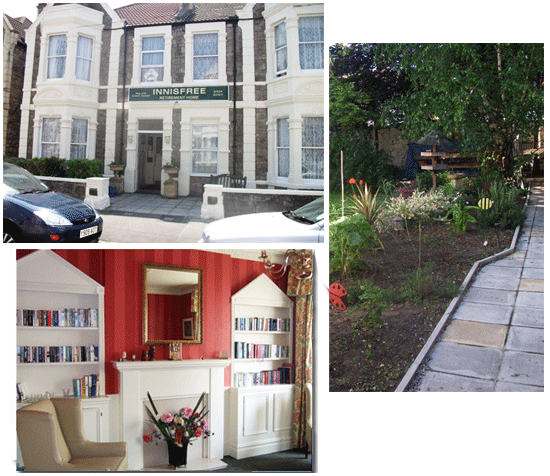 Come and visit our Care Home in Weston Super Mare and see the great facilities and friendly atmosphere.